RGA is considered by industry experts to be one of the top web design firms for its unique approach to web design and commitment to superior results. RGA employs a diverse team of web designers that have the experience and in-demand skill set to create amazing web design projects. 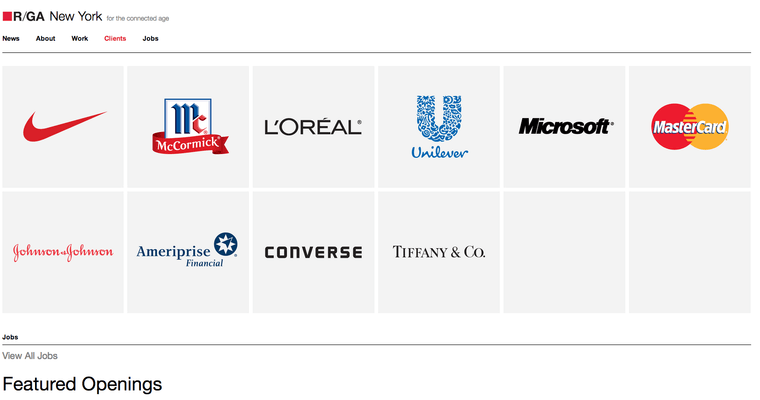 In addition, RGA has a global presence and brands itself as an ad agency for the digital age to help its clients connect with their target audiences all across the world. 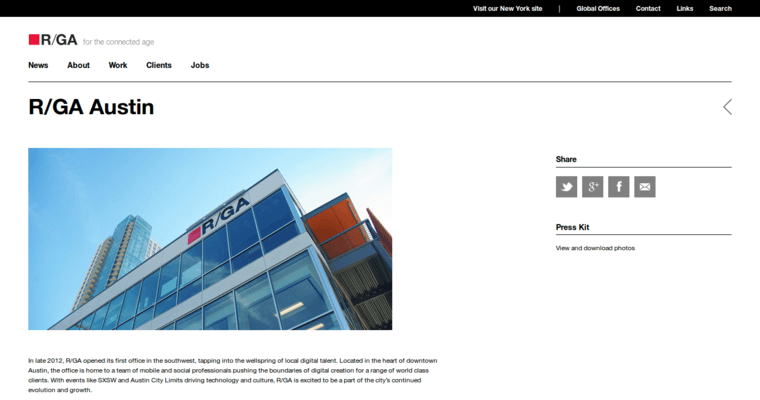 RGA is positioned to continue to stay ahead of web design trends and be a real leader in the area of engaging web design. It incorporates layouts that are easy to navigate and leave the visitor with a clear picture of its clients' presence. RGA holds itself to a higher standard when it comes to being on the cutting edge of web design so that its clients have a prominent web presence.